Boxer Tyson Fury has been trying his hand at another sport. Morecambe’s former world heavyweight champion has become an ambassador for wheelchair basketball team the Lancaster Bulldogs. It has all come about due to the 30-year-old’s friendship with Shaun Gash, a player and member of the club’s committee. Fury went down to Salt Ayre Sports Centre to meet the players and donned a Bulldogs jersey before getting stuck into a training session. Gash, a well-known fundraiser and adventurer who was the first paraplegic to attempt to climb Mount Kilimanjaro, believes the link-up is huge for the future of the club. “We both train at the same gym and over time we basically became friends,” he said. “I asked him if he’d come down and he jumped at the chance. “He came with his son Prince and they loved it. “The guys were in awe of him and it was great for him to give up his time like that. He did pretty well too, getting four out of five baskets. The Bulldogs are unbeaten this season in the National League Second Division and are looking good for a return to Division One. They have some Great Britain hopefuls in their set-up and are looking at expanding to two teams from next season. 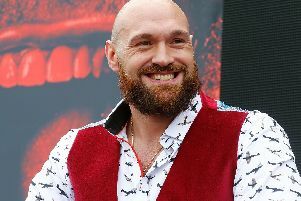 As for Fury, his rematch with WBC heavyweight champion Deontay Wilder is expected to be confirmed in the coming days and is likely to happen in April or May. 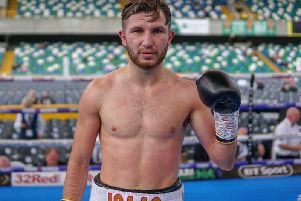 The pair battled to a thrilling draw in Los Angeles in December, many believing the self-proclaimed ‘Gypsy King’ should have taken the decision.